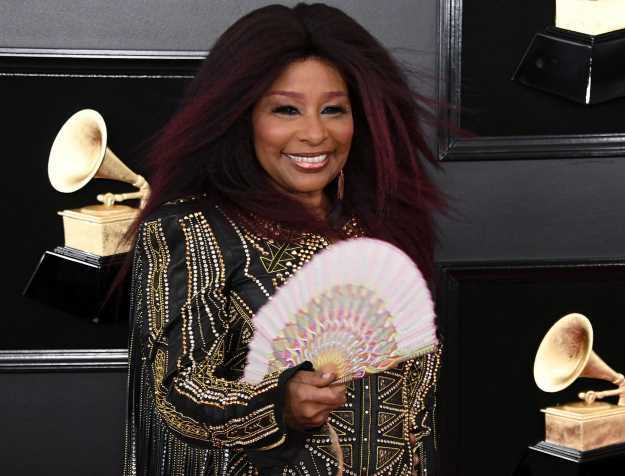 It's been 12 years since Chaka Khan released a studio album, but "I wasn't sitting, twiddling my thumbs," the singer known as the Queen of Funk said recently. She was touring and stealthily recording two albums. The first, "Hello Happiness," out this month, is full of upbeat, powerful tracks that wouldn't be out of place on a "Soul Train" line. For this record, Khan teamed with the singer-songwriter Sarah Ruba Taylor and the producer Switch (M.I.A., Santigold), and served as a co-producer, co-writer and percussionist (she played timbales on the single "Like Sugar"). Khan writes quickly, in the studio, sometimes from poems she jots down on whatever is handy. "I think with every track, what the song is about is already there before you put the words down," she said. For this album, "no deep thoughts were necessary. It was a lot of fun." In a phone interview from Chicago, her hometown, where she was shooting a TV show and visiting with family, the enduring voice behind hits like "I'm Every Woman" explained why she wanted to make a danceable record now. "I'm a happier person these days," she said. "My entire life has been challenging and troublesome - and great, you dig? I may go in and out, like everybody else. I'm going through a nice slot right here. I'm achieving some things that I wanted to for a long time." 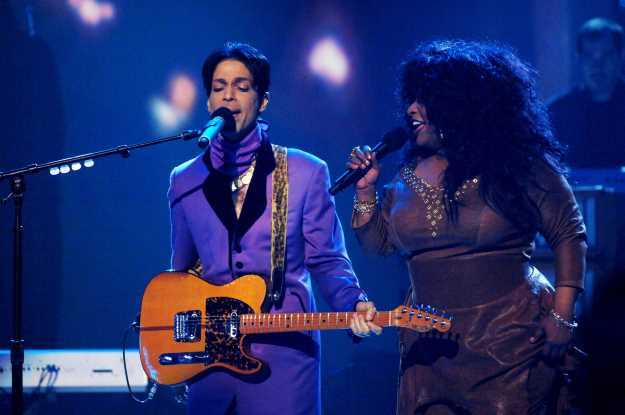 At 65, Khan - who used to play basketball with her longtime friend Prince ("I'm not trying to run around the court," she said, but "I can shoot") - talked about her recent rehab stint, taking ownership over her career and why she has no plans to retire. "I can still play basketball right now," she said, "and I can still drop it like it's hot onstage." Why did you wait so long to release these songs? I wanted to release them in a good way, and remain a free artist, not tied down to some large label for 100 years. [Khan said she hasn't had a label deal for at least a decade.] It was like working for somebody, having a job - no artistic freedom and no say-so with anything. Whereas what I'm doing is very different. I don't see it as a job. It's a calling. Did you have an awakening when you realized, this is not fair, I should get more of a stake in this? Prince and I sort of came to that conclusion at the same time. We did a CD together, called "Come 2 My House." We were both with the same label, I just didn't put "slave" on my face. You're known as one of the premier vocal arrangers. Are there artists continuing in your footsteps, or is it a skill that's dying out? I don't know what other people are really doing, as far as that's concerned. I think there's a lot of shenanigans going on with vocals these days, actually, but the gift that I got, it's just natural. I don't really look the gift horse in the mouth - I just go and do what has to be done, you dig? I give it as little thought as possible. I don't even really listen to music. Really? Not even jazz or classical at home? No. If I have friends over for dinner or drinks, whatever, then I'll play some music. If I'm being driven in my assistant's car, she's got a great catalog we listen to in the car, and that's it. Or if I find a club where a good jazz band is playing, I may go. That's very rare. This is what I do for a living. When I want to relax, I prefer passive entertainment, like looking at the telly. I like "Forensic Files," and some horror. Animal channel. In 2016, you announced that you were entering rehab, prompted by Prince's death. Was your issue with pain pills longstanding? On and off. I had a knee replacement thing going on, aggravated by flying and walking a lot, and working. I went to a pain management clinic and I was seeing a professional. I stopped self-medicating. I'm good. Your career has spanned so many eras, do you miss things from any period in particular? Working in the '80s with [the producer] Arif Mardin, in New York, really made my life happen. I really miss him. And he challenged me vocally and musically, and I miss that kind of interaction. The music I did in the '80s I think was my best music. Working with Miles Davis, Dizzy Gillespie, Chick Corea - all the greats that I grew up listening to. Was Davis abrasive or charming when you worked with him? Very charming. I don't know how he was with other people, but he was sweet to me. [We'd] go out to dinner, go see a lot of jazz, go to his house, listen to music, with he and Cicely [Tyson, his wife at the time]. Do you still get the same electric charge out of performing that you did early on? No, the charge is different, it's changed throughout the years. But I still am nervous before I go onstage - that's something that has not changed. You could call it lightweight stage fright. I'm anxious, any day I have to work, and I can't eat. I don't really feel comfortable onstage until at least the third song. And how do you feel when you get offstage? If it's a really good show, I don't remember what I did. I have to ask my colleagues. Anytime I do a particularly good show, I get lost, I go somewhere else. You grew up in a musical household; was being a performer something that you considered from a young age? I didn't realize it at a young age, but it was my calling even at that time. We all sang around the house, when we cleaned up on Saturdays, listening to Frank Sinatra, Sarah Vaughan. And I thought everybody's family did that; I thought everybody could sing. I only realized that I had something that people really liked during a talent show, when people threw money on the stage after I sang. I thought, "Oh, O.K., remember that." I was maybe 14. Your contemporaries, like Anita Baker, are staging farewell tours. Do you see your career arcing that way? I couldn't even begin to think that. This is my life, this is why I'm here on this planet. How could I retire? This is who I am. What is the next album you have coming? I'm working on a Joni Mitchell project right now, who's a great friend. I have her blessing. I'm doing my favorite songs of Joni's. Not her hits - the songs that have kept me alive on tour. When I'm on the bus, I always put on Joni Mitchell. She would revive me, in a big way - the music, the things she said, the philosopher in her. She's my favorite writer, singer-songwriter. I don't even remember when I first met her; it's been a while. What shape does your friendship take now? We mostly visit each other. We've been going out a lot lately, since she's been better [Mitchell had serious health issues for years; in 2015, she suffered a brain aneurysm]. She's making great strides. I've been going to her house a lot lately. We live like five minutes from each other. She comes to my house, I go to her house, we play music, we drink wine, we talk, we have a good time. We go out sometimes, to see a band, to dinner - lots of dinners. What was the last band you saw? I don't remember. Some guys that were playing in an Italian restaurant. When you're in that setting, do they call you up onstage? Do you go? I noticed in a lot of your recent appearances, including Aretha Franklin's funeral, and on your album cover, you're holding a giant fan. Explain, please. I sell fans. I'm opening my store soon online, I'll be selling them, as well as some bags, and a hair-care line, some makeup stuff. At my age, I'm into creating passive income. When I don't want to go on a tour, I don't have to go on a tour, so I can make money while I sleep, or while I watch TV. But I always loved fans. I've been using them forever, since I started going to Japan in the early '70s. A lot of people imagine that an artist like you would basically be rolling in it. And what I'm hearing is that you feel like were subjected to deals that cheated you out of royalties. And now you have to restructure. Absolutely, the story of my life, yes. This is my work, it's all I have, and I should own it. I now know my worth, O.K. - I really do. And that's how I'm going to live out the rest of my life, period. I'm not going to sell myself cheap or short. 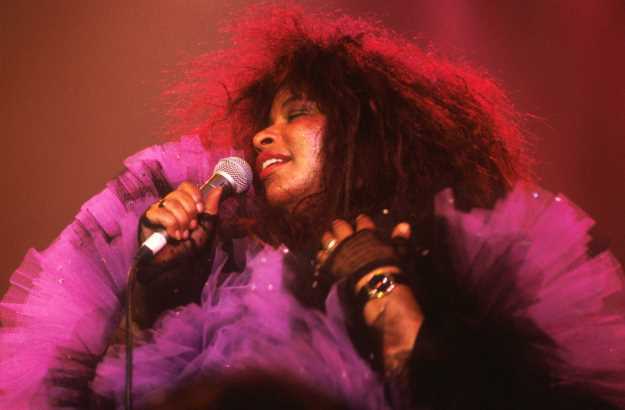 I'm not good old Chaka Khan anymore, you can't call on me when somebody else said they can't do the gig - "Ask Chaka, she'll do it." I used to be like that, but I'm not doing that anymore. And when you want to hire me, you better have some money. That's it.